By appointing Campus Brand Ambassadors at Further Education Training (FET) and Higher Education Training (HET) institutions, FASSET will now have a physical presence at many FETs and universities across the country. The brand ambassadors are expected to play a very important role in helping to deepen FASSET’s footprint and reach in rural areas. They are also expected to play an important role in attracting more African learners into finance and accounting related careers. Goldfields FET College in the Free State. Plans are underway to appoint two more Campus Brand Ambassadors. The SETA’s NSFAS Loan Repayment Grant. They are from very similar backgrounds and with similar life experiences, values and preferred communication styles. Interviews on campus radio or community radio. Millennials on campus who may be contemplating careers in finance or accounting. Recognising the importance of academic achievement, the brand ambassadors are not expected to host any activations during exam months. 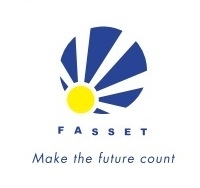 In order to equip brand ambassadors with the requisite knowledge and skills to perform their new roles, FASSET held a rigorous two-day induction programme at its offices in May 2013. This programme included overviews of the Brand Ambassador Campaign and of FASSET. Candidates were also introduced to FASSET’s Mentorship Programme. Each brand ambassador has been assigned a FASSET Manager who will coach and mentor them for a one year academic period. Candidates were delighted to learn that FASSET CEO, Cheryl James and FASSET COO, Lesego Lebuso have agreed to mentor a brand ambassador. In addition to receiving ‘product training’, brand ambassadors were provided with a ‘toolkit’, which included a standardised FASSET presentation and brochures. Since they are required to document their interventions and communicate their achievements, they were also given a digital camera and airtime. Having completed a jam-packed two-day induction programme, brand ambassadors were exhausted, but also exhilarated at the prospect of representing FASSET and positioning the FASSET sector as the sector of career choice amongst their peers and in their communities. They were also excited at the prospect of building their personal profile on campus and in their communities. FASSET wishes its brand ambassadors every success.